The University of Washington has been named to The Princeton Review’s Green Honor Roll for the seventh consecutive year. The UW was one of 24 colleges and universities to receive the award out of 629 schools reviewed. The Green Honor Roll honors schools who receive a perfect score on The Princeton Review’s Green Rating system. "I am delighted that once again UW has been named to the Princeton Review Green Honor Roll," said Lisa Graumlich, Dean of the College of the Environment and Chair of the UW Environmental Stewardship Committee. "It underscores the leadership of our students, faculty and staff as on issues around sustainability and livability. I couldn't be prouder of our university." 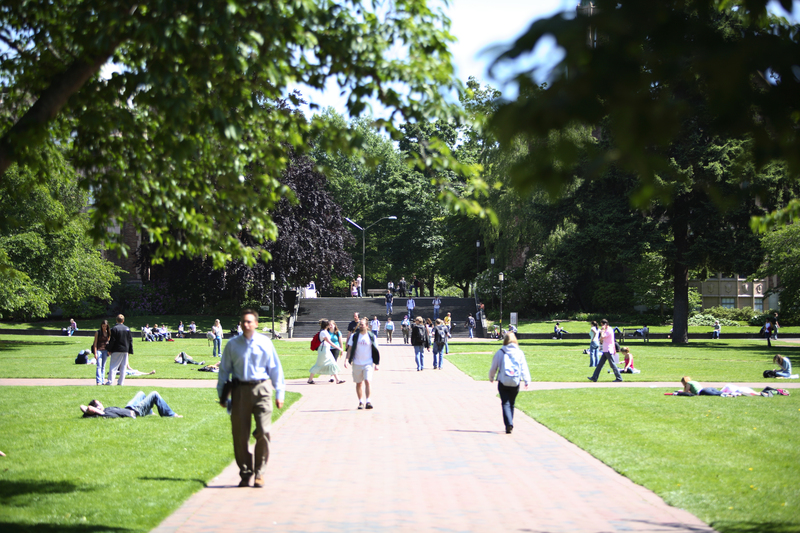 The Princeton Review annually releases its Green Honor Roll list as part of the company's college rankings. The ratings attempt to measure how well schools provide a healthy and sustainable quality of life for students, how well they prepare students for a world defined by environmental concerns and opportunities, and how environmentally responsible their policies are. The ratings include questions on areas such as waste diversion, commuting options, local and sustainable food options, new building construction practices and whether the school has a formal committee with participation from students that is devoted to advancing sustainability on campus, as well as other categories.